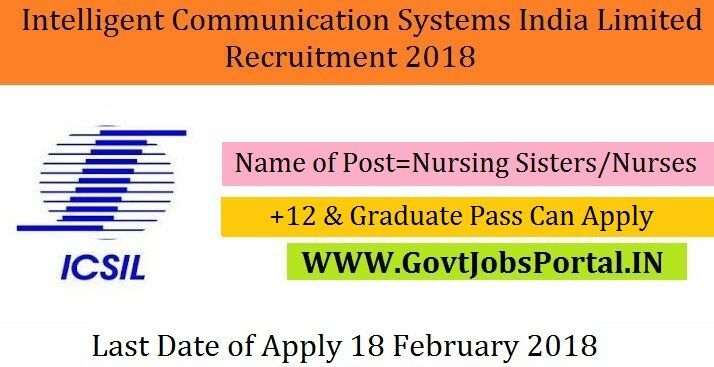 this Intelligent Communication Systems India Limited Recruitment 2018. General Nursing and Midwifery form a recognized institution or equivalent. age 20 years & maximum age 35 years. What is the ICSIL Selection Process job? What is the Application Fee for these ICSIL Jobs in India?